Wikieaks on March 2, 2015 released updated edition of the secret TPP Investment Chapter. force, four years from the close of the negotiations. Read the Wikileaks Press release here. Read the Investment chapter here. PDF file here. Read the Global Trade Watch analysis here. Additional resources on the various Wikileaked chapter here. 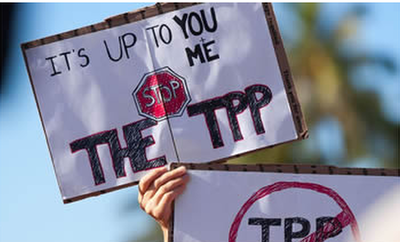 Statement in Forbes titled, "TPP Is A Mistake"
October 16, 2014. Wikileaks today leaked the negotiating text of the Intellectual Properties Right chapter of the TPP. Read the Press Release from Wikileaks here. Read the IP chapter here. PDF file here. Wikileaks editorial on IP chapter and cancer treatment here. Response of Electronic Frontier Foundation (EFF) to IP text release here. Also see here. Read the Public Citizens webpage on the leaked IP chapter.here. 1-15-14 - Wikileaks today released a complete copy of the negotiating text of the TPP chapter on the Environment. Wikileaks statement said in part, "When compared against other TPP chapters, the Environment Chapter is noteworthy for its absence of mandated clauses or meaningful enforcement measures. The dispute settlement mechanisms it creates are cooperative instead of binding; there are no required penalties and no proposed criminal sanctions. With the exception of fisheries, trade in 'environmental' goods and the disputed inclusion of other multilateral agreements, the Chapter appears to function as a public relations exercise. "Julian Assange, WikiLeaks' publisher, stated: 'Today's WikiLeaks release shows that the public sweetner in the TPP is just media sugar water. The fabled TPP environmental chapter turns out to be a toothless public relations exercise with no enforcement mechanism'." Read the TPP Environmental chapter here. Today, WikiLeaks revealed the negotiating text for 1 of 29 secret chapters of the Trans Pacific Partnership. The leaked chapter is the highly debated Intellectual Property Rights chapter. In an analysis by Public Citizen, their director of Global Access, Peter Maybarduk, said, "The Obama administration's proposals are the worst - the most damaging for health - we have seen in a US trade agreement to date. 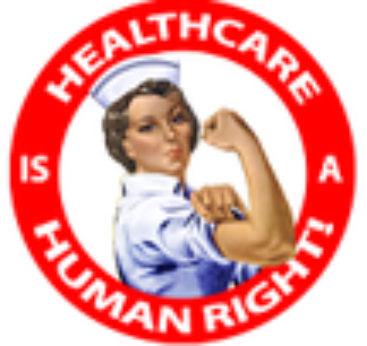 The Obama administration has backtracked from even the modest health considerations adopted under the Bush administration." And from the Public Citizen press release of their analysis, "Secret documents published today by WikiLeaks and analyzed by Public Citizen reveal that the Obama administration is demanding terms that would limit Internet freedom and access to lifesaving medicines throughout the Asia-Pacific region and bind Americans to the same bad rules, belying the administration’s stated commitments to reduce health care costs and advance free expression online." Read the Text of the leaked document here. Review the analysis of this chapter by Public Citizen here. Contact your US Representative and Senator. Demand that they call for a complete release of the negotiating text. In a bi-partisan effort, congressional members from both the Democratic and Republicans wrote President Obama of their opposition to Fast Track Authority to speed approval of the next round of "Free Trade" agreements through congress. Democratic party members signed onto two letters while some Republicans also expressed their desire not to "cede our constitutional authority to the executive through an approval of" Fast Track Authority. The DeLauro-Miller letter was signed by 151 members of the Democratic caucus and states their opposition to Fast Track Authority that excludes Congress from a meaningful role in writing trade agreements. Oregon Rep. DeFazio and Schrader both signed this letter. A weaker letter was written by Oregon Representative Earl Blumenauer with Rep. Mike Thompson. Their letter assumes that Congress will grant Obama's request for Fast Track Authority and seeks to set out the negotiating objectives to be imposed by FTA. From the letter, "We believe that TPA must reflect a trade policy that not only creates and strengthens jobs here in the U.S. and improves market access, but also promotes high-quality standards abroad that prevent a race to the bottom." Our principle objection to this approach is that it is limiting the possible points of concern to be only regarding job creation, market access and preventing a race to the bottom. But this ignores other issues. The Trans Pacific Partnership Agreement decreases the availability of generic drugs both here in the United States and overseas. The agreement includes relaxation of financial requirements. Financial regulations designed to separate commercial banking from speculative banking will also be subject to challenge. The agreement includes investor-state provisions allowing corporations to sue nations for perceived loss of profit due to government decisions. "Buy local" laws would be disallowed. Procurement requirements that favor local business - not allowed. Internet access for all on an equal basis will be subject to challenge. And the list goes on. Read the DeLauro Miller Letter here. Read the Blumenauer-Thompson letter here. Read the Republican letter here. 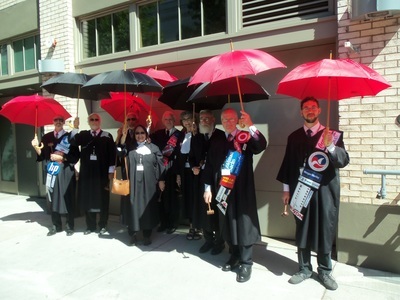 Read the press release from Elizabeth Swagger and the Oregon Fair Trade Campaign here. While the negotiations are conducted in secret, some of the text has been leaked. Chapters on Copyright limitations, Investments, medical devices, intellectual property rights and more have been leaked. Read the leaked documents here. Read the text of the Investment chapter here. Read the text of the leaked chapter on the Environment here.